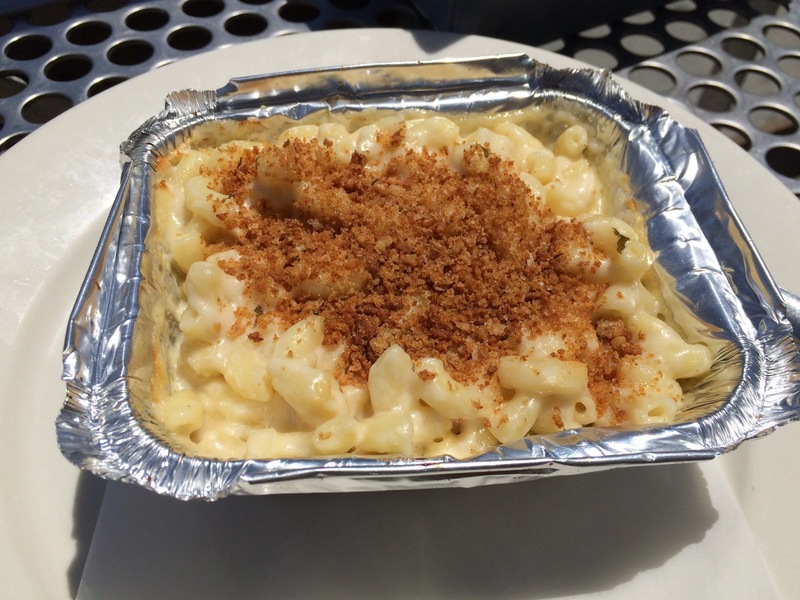 Anna's Mac & Cheese is another dish I got at The Picnic Basket with Fancy Pants Grilled Cheese. 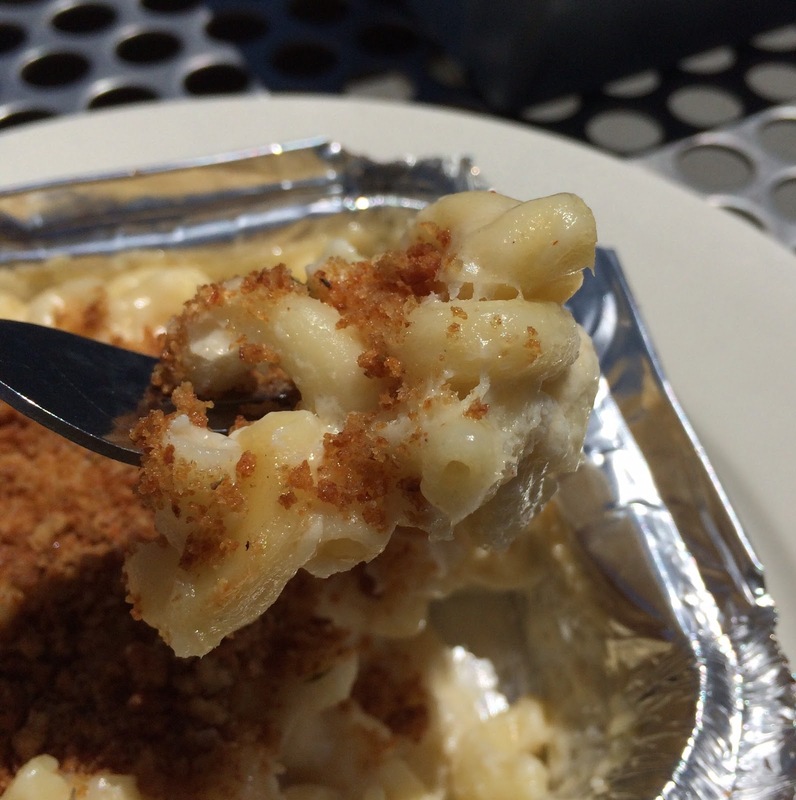 On the menu, it says, "Cozy up to tender elbow noodles baked in a gooey cheese medley with a hint of herbs, and topped with thyme bread crumbs." From the description, I was hoping it'd be as cheesy and gooey as Fancy Pants Grilled Cheese. 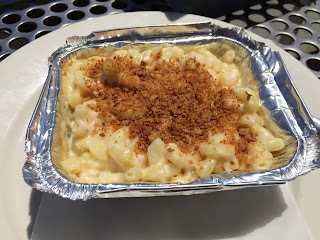 Though the menu said gooey cheese, it's not really like that but sort of crumbed up and the cheese sauce was lightly covering elbow macaroni. And it's not super hot but slightly lukewarm though it required some time to serve. Thyme flavored bread crumbs were refreshing but I prefer plain crumbs if there're any on the top, buy in any case, I like simple mac & cheese without bread crumbs. I wish this mac & cheese had been as cheesy as Fancy Pants Grilled Cheese, and instead of bread crumbs, I'd have loved it more if the surface had been covered with golden brown melted and bubbling cheese. Another review of The Picnic Basket.